1. 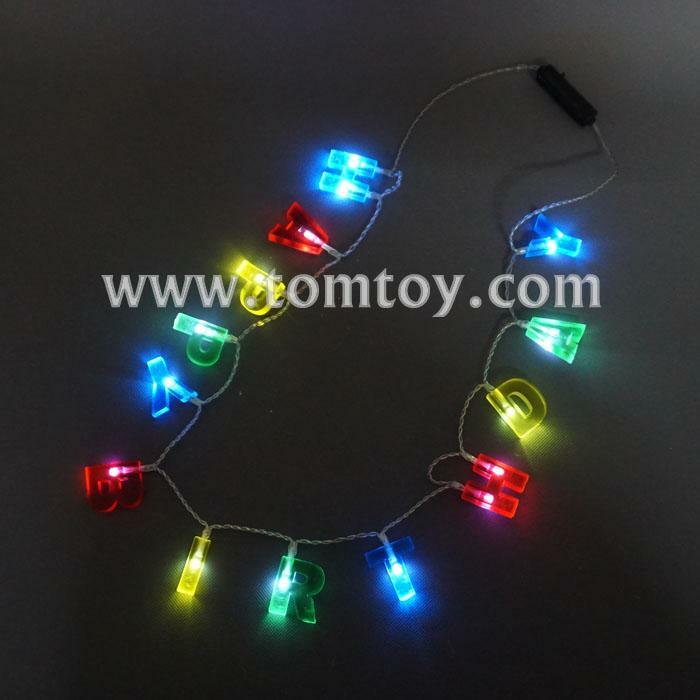 FOR BIRTHDAY PARTY- 1.2-inch Individual CAPITAL letters on an approx 19.3" long necklace, available in 5 colors: green, red, blue and yellow - the light will put a celebratory smile on everyone's face. 2. Colorful semitransparent letters like boiled sweets - perfect for anyone's birthday party of any age: girls, boys or adults who have an inner child. 3. Starburst shines through colorful letters at night - achieve a lighthearted & engaging party ambience - Now get the party started! 4. Mixed colors make your light well coordinate with other birthday supplies - brighten up any theme of birthday parties.